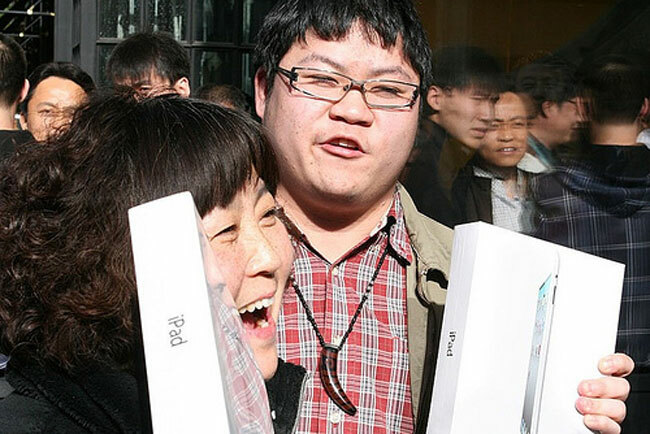 The new iPad 2 had its launch in China last week, and it looks like the Chinese iPad 2 launch was one of the most popular so far, with massive queues outside the Beijing Apple store. Chinese Apple fans swamped the store, and all the stock of the iPad 2 was completely sold out within just 4 hours, which is pretty impressive to say the least. It isn’t clear as yet how many iPad 2’s Apple have sold in China since it went on sale last Friday, we suspect that Apple will sell a lot more of the iPad 2 and there will probably be similar stock shortages, just like other countries when it launched.